We offer lakefront rentals at the Crowley Lake Marina from mid-May through early October. 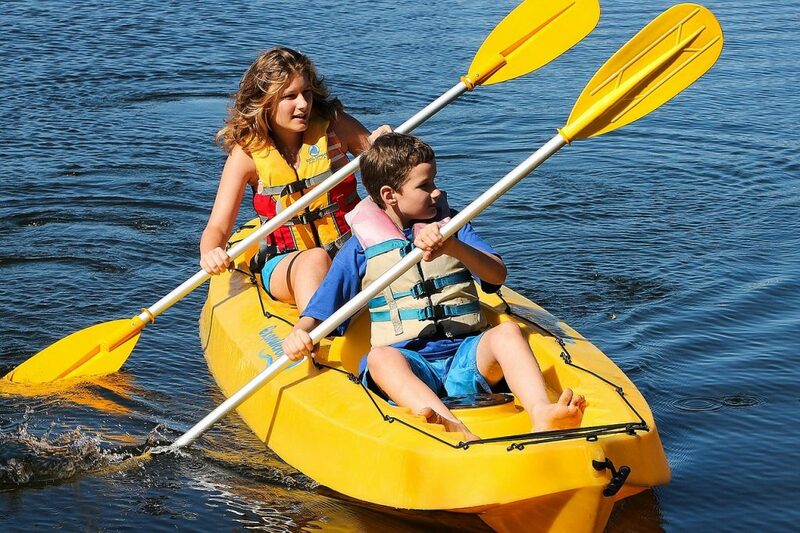 We meet you at the water’s edge with all of the kayaks and gear so you do not have to transport the equipment. After a short lesson and paddle stroke review, we provide a description of recommended destinations. The Crooked Creek inlet is a great place to paddle to and offers sheltered water and calm conditions. Lake Crowley is about 12 to 13 miles south of the town of Mammoth Lakes. From Mammoth Lakes take highway 395 South. Take the Crowley Lake/Hilton Creek exit off of highway 395 and you will turn left and drive over the highway on the overpass. Check in at the main gate and give the gate person your name and let them know you are renting kayaks. Go through the main gate and drive down the hill. Straight ahead is an area signed “trailer parking”. We set up our truck and trailer on the beach below the trailer parking area to the left of the flag. You can drive down into the trailer parking area. Would you prefer to rent a kayak and paddle at a different location? You can pick up a kayak and take it to any of the many lakes in the area. A standard roof rack is adequate and we can provide foam blocks and straps to attach to a vehicle that does not have cross bars. 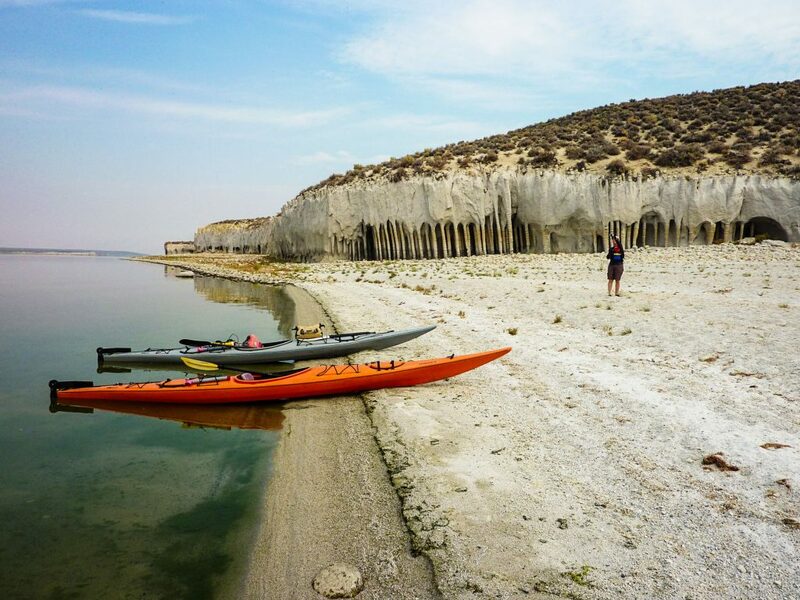 We recommend picking up the kayak the evening before the day you intend to use it so you can get an early start, especially for Mono Lake. We allow our kayaks to be picked up and taken to other lakes in the area. There are lots of possible destinations. You can paddle multiple lakes on your own schedule. Crowley Lake is about 12 to 13 miles south of the town of Mammoth Lakes. 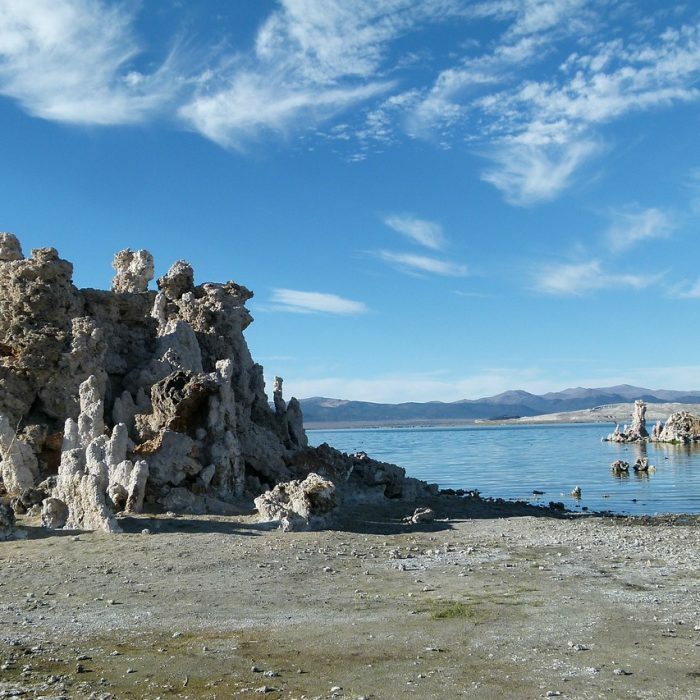 Take the Crowley Lake/Hilton Creek exit off of highway 395 and go north toward the lake. Check in at the main gate and give the gate person your name, you are picking up a rental kayak. Go through the main gate and drive down the hill. Go over a few speed bumps and turn left before SLOW sign and behind the warehouse. Kayak trailers are on the left south of the warehouse. Straps and foam blocks are available to help secure the kayaks. We are not always at Lake Crowley so please call ahead for reservations. We can meet you the evening before your rental day to get the kayak on your vehicle. That allows you to get an early start without spending time loading up in the morning. Mornings are generally better before the wind picks up. Some afternoons can offer pleasant paddling if the weather conditions are favorable. Caldera Kayaks typically offers kayak rentals mid-May through mid-October, based on availability. 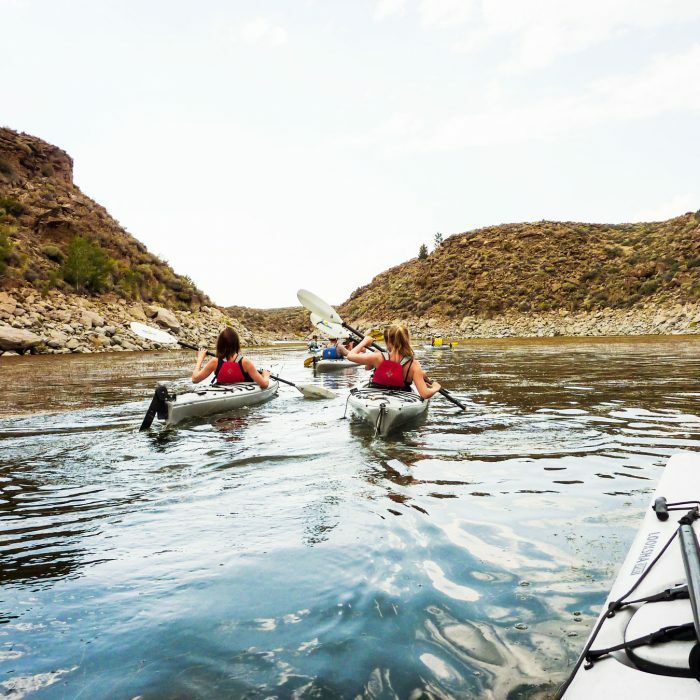 To check for availability and reserve your kayaks, please fill out the form below and tell us a bit about yourself and when you plan on being in the area.